Although I have owned, and enjoyed, this album for years now, there is something refreshingly new to it that is just now beginning to reveal itself to me. It’s as if another layer has been peeled back that I had never taken notice of before. Yes, it’s true that all great albums do this; but thankfully it still a surprise when it happens. What I have always loved about Neko Case is her seemingly efffortless mastery of country-noir, and Blacklisted, taken as a whole, speaks volumes to this claim. While last year’s Fox Confessor Brings the Flood was great in it’s own right, there is definitely something about Blacklisted that trumps it. It’s as if Blacklisted achieves a an almost subconscious cohesiveness that, with all it’s obvious merit, does not happen in the same way on Fox Confessor. Or maybe I’ve just been listening to wayyy too much Roy Orbison lately. 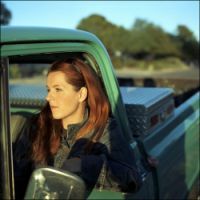 Discuss: For you, when it comes to Neko Case, what is her essential album? Tough question, I like all things Neko. Just saw her live, great performance was delivered. I think Fox Confessor is her most complete work. However if I could only own one work I would keep The Tigers Have Spoken, a record I can play continuously. Definitely Blacklisted… its her best, in my opinion. I remember Tightly being on an Uncut sampler CD several years ago and I was entranced, but somehow I never quite got round to exploring her stuff until Fox Confessor came out. I am slowly working my way backwards from there. What a voice! While I think “Fox…” is probably a more solid album, “Blacklisted” creates a vibe all its own unmatched by anything else in her catalog; “noir”, indeed. I’ve got Neko on the brain right now, because I am looking forward to seeing her open for Merle Haggard next Monday here in Spokane. Can’t wait. Also, thanks for all your hard work on this blog; the music is great, and I always enjoy your writing, as well. Take care. Neko’s live album with The Sadies, The Tigers Have Spoken, is solid but I have to go back to Furnace Room Lullaby for my sentimental favorite. Each of her albums have songs that are stand outs, but Furnace Room takes it for me. If your into singles you have to checkout Neko & The Sadies doing some amazing covers together. Bloodshot records released a couple gems, Lorretta Lynn’s “Rated X” aswell as Tom Waits ” My ’63”. You can never go wrong when Neko hooks up with The Sadies, also check out The Sadies earlier albums for some Neko. These boys know how to play anything, the perfect spaghetti western garage country folk group. For me, my favorite will always be “The Tigers Have Spoken”. I think it’s flawless, mostly due to the (lack of) production, it’s nice and raw. Blacklisted was the first one that I bought, though, and I definitely fell in love with Neko’s voice when I heard her do “Runnin’ out of Fools”. I think Fox Confessor is better than Blacklisted due to the fact that I think her writing has caught up more to her vocal talents. I agree that it’s Blacklisted, partially because that’s where I discovered her, but mostly because that record just seeped into my soul in an almost spooky, fever dream kind of way. To me that record just sounds haunted, and it still raises the hairs on my neck to listen to it. You know you’re right, sam thing with me. Blacklisted sat in my collection for a while and i thought it was fine – love Deep Red Bells (especially the bit where it changes tempo). I got Fox Confessor and couldn’t stop listening to it which then led me back to Blacklisted (this weekend funnily enough). Now i love it! man, i love Deep Red Bells…so amazing. I gotta go with “Fox Confessor” for beginning to end greatness. I think it’s hard to say which album is the best because Fox Confessor is so different from her predecessors. The Nashville, honky-tonk style of her prior records is absolutely infectious and delightful, but can’t really be compared to Fox Confessor. To say that Case’s writing on Fox Confessor has evolved from her prior work is an understatement. It is simply some of the most sophisticated and literary song-writing I have heard in some time. Frank mentioned “Star Witness.” Could there be a more perfect song about a fall from grace? It is much like a novel that never strays from its theme. Not a word wasted.